Testimonials | Davis Properties of Northwest Florida Inc.
Read over our past client testimonials for real examples of the great customer service you can expect from any of the experienced 30A real estate agents at Davis Properties of Northwest Florida Inc, contact us online or call 850.231.2025 to get in touch! Rachel Lefebure is very personable and knows 30A. As she took us looking at homes in Seagrove/Seaside she and Michelle seemed to know the background on most homes in the surrounding neighborhood which was very refreshing and interesting. She has always responded to my inquiries in a very timely fashion. Because of this we have decided to list our Seagrove home for sale with Davis Properties and will continue our search for a new property in Seagrove with them. We are currently working with Bobbi Davis to find our retirement home in Florida. Bobbi continues to excel at keeping us posted on the latest listings, and continues to work diligently to find us the perfect home we seek. Despite our unplanned for delays in completing our relocation, she continues to contact us weekly and we have become close friends with her. We couldn't see ourselves working with an agent more dedicated to her clients than Bobbi. We hope to continue our friendship with Bobbi even after we have completed our home purchase. She is the type of person we would be proud to call our personal friend. Larry Davis is extremely ethical. He is personable and a very hard worker. Larry has a thorough knowledge of the market. He prepared good comparables for us and recommended a fair listing price for our condo. Altho Larry has a reputation for representing newer and more upscale properties, he gave our older condo as much attention as the most exclusive property in the area. He suggested a few simple updates our condo needed, arranged repairs, and met workmen at the condo. He pays attention to details and made excellent recommendations during negotiations. We recommend him wholeheartedly. Rachael & Michelle helped me sell my house while I was living out of state. They were amazingly detailed and extremely conscious to my needs. There has to be a high level of trust when you are selling a home from another state. Rachael and Michelle earned that trust with me almost immediately. They provided comps within a few days of my request. They professionally photographed our home. It looked beautiful and inviting. They were honest and candid with me on anything about the house that may have needed improvement and helped me find vendors locally to handle the items. Once offers started coming in, they gave me sound advice of how to respond. During the inspection period, any items that the buyer wanted changed or repaired they helped again with finding local vendors that were reasonable. The repairs were made quickly. Because almost all of our communication was done over the phone, email and text it meant so much to me that they responded extremely quickly every time. I would highly recommend them to anyone. I have bought and sold 12 different residential properties and this was the most painless experience I have had of all of them. All while being 850 miles away. In my opinion there is not much about their customer service that can be improved upon. I own a service business and customer satisfaction is what it is all about. Rachael and Michelle have got it down. I have known and worked with Larry Davis for over 15 years. Larry has always acted in a professional manner with honesty and integrity. Throughout my own home buying experience, he has offered sound and proven advice. Larry has been supportive throughout the process, but most importantly he has acted with my best interest in mind. When my wife and I were first considering purchasing our vacation home along the Emerald Coast we were lucky enough to meet Larry. He showed us the properties we initially inquired about and some others that we hadn't considered. With his knowledge of the area and many contacts from bankers to insurance agents Larry is a wealth of information and wonderful to deal with. We were able to purchase our vacation home with Larry's help in June 2011. Everything went so smoothly that when I was looking for a piece of real estate strictly for investment purposes in May 2013 I once again turned to Larry for his guidance. Although that transaction didn't close (due to unrealistic expectations by the Seller and is still listed for sale today in Nov 2013) Larry was once again extremely helpful. If you're thinking about purchasing a home anywhere along the Emerald Coast the first call you should make is to Larry Davis of Davis Properties. Rachel is a 1st rate realtor extremely helpful very diligent, she has always made her self available when I call to ask about different properties, restrictions imposed by zoning & construction regulations. I don't think you could find a better resource to find your dream home. Rachel was instrumental in helping us find a great property for my retiring parents. She worked with us through the entire process including helping us get locks changed and all necessary property repairs. We do not live in the area, so it was important to us to have a realty team that really took care of everything. They delivered, and then some! 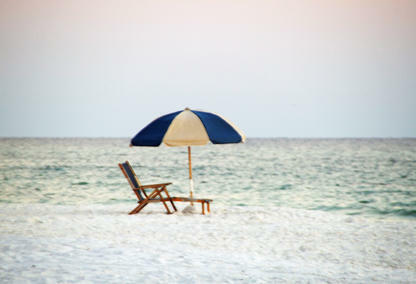 I moved into the Destin Area in February 2013 knowing that I wanted to purchase a home or condo. I got in touch with Larry Davis through a family member and I never looked back. Larry spent time with me to nail down my price range and to get specifics about what was important to me when buying my first home. After our initial meeting, Larry provided me with a list of homes/condos that fit the bill. I was able to narrow it down and decided to view between 15-20 homes. Larry was very patient with me as a first time home buyer as it took a couple of days to tour all of the homes. Larry has been doing this a long time and is very knowledgeable about the area (from Pensacola to Panama City and beyond). His professional opinion was greatly valued as he helped me sort through the pros and cons of each home. He has lots of helpful advice when thinking about resale value and making a smart investment. The entire process from narrowing down specifics to signing on the dotted line was seamless and painless. When it is time to sell/buy again Larry will be the first person I call! Michelle Joly, Thank you for helping me with the sale of my lot in Seagrove. You are so knowledgable, so professional, and so great to work with. I feel today, as I did in December, that you and Davis Properties were definitely the best choice for me. Best of luck in the upcoming selling season. Since you sold my property so quickly, this is now one less sale with which you will have to worry during the "busy" season. I am also pleased to know you sold the lot to someone who intends to maintain the true ambiance of Old Seagrove. Thanks again to you and the team. We listed our property in Seagrove Beach for sale through Davis Properties and Michelle Joly, Tom Hidell and Rachel Lefebure because of their great track record in this area. When we met with them they were prepared and had a competitive market analysis completed and were very helpful in making this decision. Michelle, Tom and Rachel were always there whenever we had a question and were very helpful in letting us know about the timing of the showings since we were living in the home. They gave recommendations for marketing the property that proved to be spot on. They followed our transaction along at every step of the way always keeping us informed of the progress. We could not be happier with our affiliation with this great group of realtors. We heartily recommend them for any real estate needs that you might have. Bobbi Davis helped us find the perfect condo. She is personable, has extensive knowledge of the real estate market, and maintains a courteous, professional relationship with her clients. She listened to our needs, assembled a collection of property descriptions for our review, and then accompanied us as we visited those properties that seemed most appropriate. She pointed out both the positive and negative features of the properties we visited. When we were ready to make an offer, she made helpful suggestions regarding terms and conditions in our purchase offer and was also attentive to details in the closing documents. It was a pleasure to work with her. Bobbi Davis was willing to go the extra mile and spent many full 8 hour days showing us property, and many properties multiple times. Since we work during the week, we were only available during the weekend, and this was not an issue. Bobbi was very personable, and we enjoyed spending time with her. She was also very knowledgeable in her field and responded to all of our many phone calls and emails very quickly. Rachel Lefebure has successfully helped us buy and sell properties. We are aware of their prolific reputation on 30a in listing and selling.....that's why we chose them. They truly have the utmost integrity, honesty and knowledge! The most important reason we continue to stay with Rachel is the special relationship she builds and how she makes us feel like we're the only customer she has! Amidst the competitive market on 30a, her clear headed ness and calm manner is very reassuring! Rachel Lefebure knew the area very well, was familiar with the specifics of this property and was able to reduce negotiation turnaround times by working with both buyer(me) and seller to come to an agreeable price. Additionally, she used available technology extremely well to facilitate getting offers and contracts electronically signed to make the deal come together much quicker than anticipated. Lastly, she also indicated that the seller was willing to lease the property for a short period after the transaction and she was instrumental in working out the details and allowing them to continue their life and let us create some short term income from the property. Let me just say these two ladies are the dynamic duo. Not having purchased a home in over 30 years we were in the dark and they guided us step by step. Plus this was not an area we were familiar with but they know everyone from mortgage lenders, inspectors, pest control, contractors, and repair people and were able to give us the very best referrals. Timing is important in real estate matters so we were thankful that whenever we had a question a response was quick at hand. They are extremely service oriented which is sometimes hard to find these days. Most important, they know how to negotiate with buyer and seller so that everyone feels it's a win/win deal. Considering what an important purchase buying a home or second home is its essential that you work with knowledgeable and efficient professionals like Michelle Joly and Rachel Lefebure. We're glad we did and are delighted with our new home. Bobbi Davis is a great realtor. She was able to find us a great property that met our needs at a good value. She helped us through the closing process and went way over and beyond to get it done in a short time. I HIGHLY recommend her for any real estate transaction that you are considering. Rachel Lefebure and Michelle Joly have extensive knowledge of the 30A/Walton Beach area and they were very helpful to us in our search for a lot. They researched the available lots and then drove us to each to view. When we had questions they were very quick to respond and their knowledge was top-notch. I would highly recommend them if you are in need of a realtor! They are also very pleasant to be around. If you want to make your real estate needs a positive and successful experience then call the most knowledgeable and friendliest agent around, Larry Davis. He will be by your side helping you in every way he can from searching for just the perfect house for you to getting every detail checked off during the process, all with a smile on his face. If it was not for Larry Davis and his proactive positive attitude and persistence I would not be in my house now and maybe would have never been. My house was a short sale that required many extra steps and headaches to keep the process flowing. Larry was constantly investigating with all parties involved to find answers and make sure we were always moving forward to get me in my new home. He went above and beyond to make sure I was comfortable and understanding the process and answering questions I did not even know to ask. He often checked in during the waiting game just to say "hang in there" and kept me informed all along the way, even from his son's wedding out of state! Larry's cool demeanor is also backed by the friendliest and most helpful staff I have ever come across, always reaching out to lend a hand in anyway they can. I recommend Larry Davis Properties to anyone who wants to make a big step in there life of buying a home an even better experience and you make a friend along the way. If you'd like to hear more client testimonials or to check out some of the amazing 30A real estate, please feel free to contact us online or call 850.231.2025 to get in touch with a qualified South Walton County real estate agent.